Vehicles belonging to Ola and Uber have been seized in Bangalore for continuing to apply surge pricing rates. Rame Gowda, the commissioner of transport and road safety, said that more than 30 vehicles have been impounded and operations against the two companies are continuing. 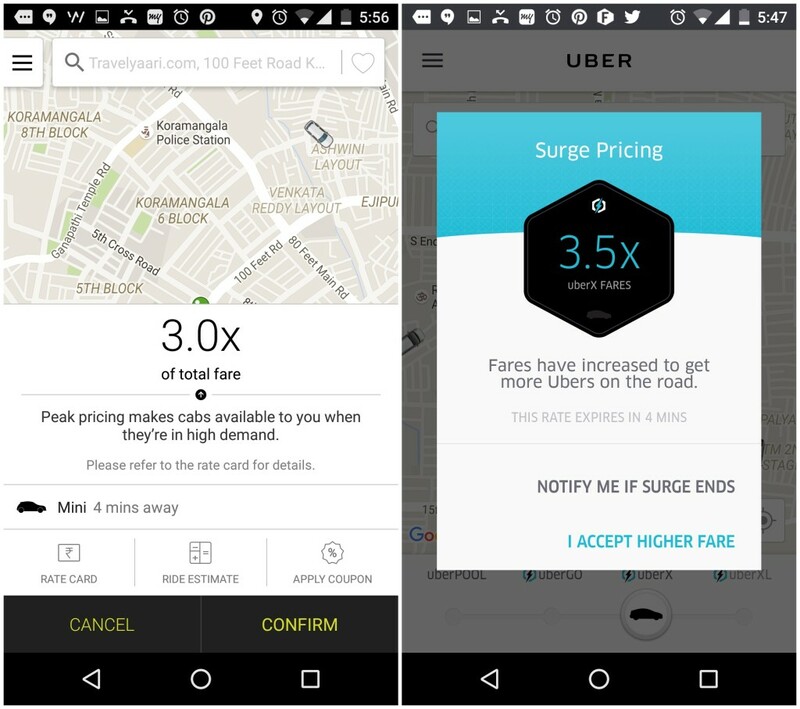 Bangalore had issued directives against surge pricing by imposing rules on cab aggregators on 6th April. The rules had included caps on surge pricing and a per-kilometer price ceiling for both AC and non-AC cabs. But as OfficeChai had reported on 10th April, both companies were continuing to charge surge pricing rates in the city. “Surge pricing is not in the rules,” said the commissioner of transport and road safety Rame Gowda. “You have to follow the rules of the land, you cannot violate the rules of the land and harass the public.” He encouraged commuters to file police complaints against Uber and Ola if they are subject to overcharging. The Bangalore’s government’s ban on surge pricing had led to mixed reactions from the public. One set of people believed that the ban on surge pricing flew in the face of a sound economic-driven pricing model of demand supply, and that the move would eventually hit customers as fewer cabs will be available at peak hours. Another set had maintained that the move was long overdue, and surge pricing by cab companies amounted to price gouging. But it still remains to be seen how Uber and Ola will react to this latest move. Last month, when Bangalore’s traffic authorities had imposed bans on bike taxis, Ola had immediately complied with the ban and removed the option from its app, while Uber had rebranded to a bike pooling service and continued to run its bike taxis in Bangalore. It will be interesting to see what the two companies do now.